We are looking forward to our first visit to Airecon. It is a board gaming convention in North Yorkshire that has been on our radar, but we have not yet been to yet. 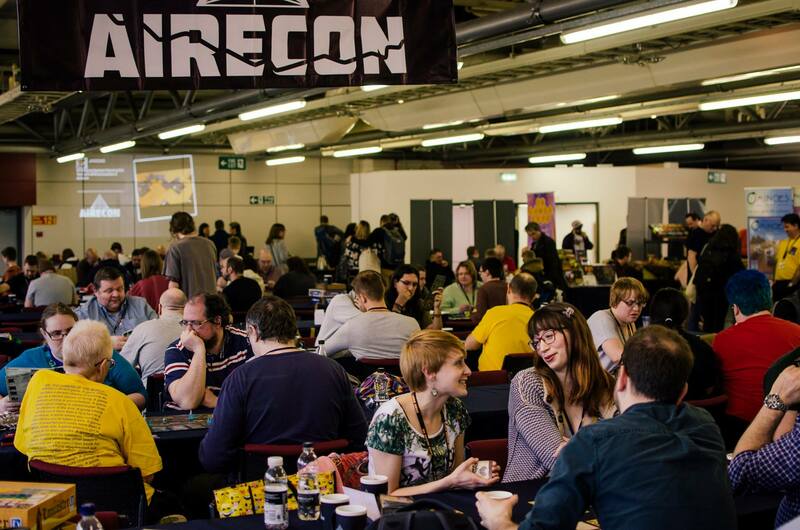 If you have no idea what Airecon is, it is a fun, inclusive and family-friendly convention at the Harrogate Convention Centre, 9th-11th March 2018. It has loads space for open gaming, a trader and exhibitor area, a large RPG (role-playing gaming) zone, a huge board game library, a bring and buy, fun events, a family zone and much more. 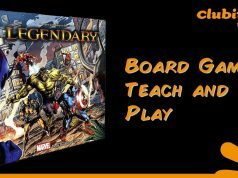 Hang-on on a second, did you say, “…board gaming convention…”? Surely there are only a few board games in existence? How can that afford a whole convention? Most of them are for children, you only haul them out of the attic at Christmas or are not THAT much fun? Surely there is not much to discuss when it comes to Scrabble, Risk or Uno? Next, you will be telling me people gather to sit around talking about the subtle variations in the colour of paint as it dries! Just take a second and let us explain. Around the turn of the century, there was a board and card game revolution with games like ‘Magic the Gathering’ and ‘Settles of Catan’ being published. Others soon followed with new before unheard of mechanisms being introduced and developed. Some, like ‘King of Tokyo’, took existing game ideas at their core (in this case Yahtzee) and created a brilliant game of monsters fighting for supremacy in and outside the city of Tokyo. If you have never played it and someone owns a copy, go play it! Other games have followed, like the train-themed, ‘Ticket to Ride’ where you try to establish train routes across the landscape in the early 1900’s. There is also ‘Pandemic’ a board game in which you work together to cure diseases across the world before uncontrollable epidemics break-out. That is to name but two. Just to give you a little perspective, in 2017 over 800 games were published! Yes, 800. It was not a typo. 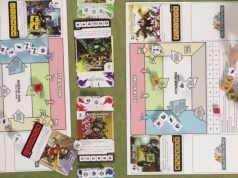 Many who follow the board gaming industry closely, have said that 2017 has been one of the best years for board gaming. The board games being played. 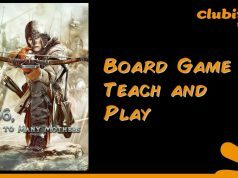 An interview with, straight from Canada, Rodney Smith host of the YouTube channel “Watch it Played” and the other board game online channels including ‘No Pun included’. An interview the publisher CGE (Czech Gaming Edition). They published the hugely popular game, Codenames. The Travelling man board game library. If any of this has grabbed your interest then check-out Airecon’s website or (if you live too far away) look-up our videos when we return to see what you missed.